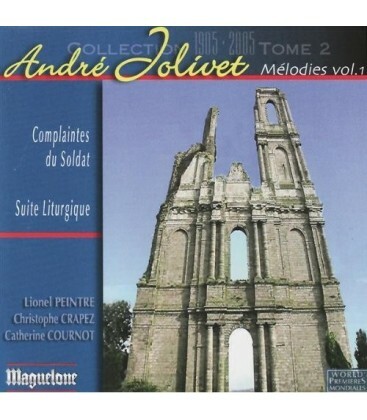 9 de Classica-Repertoire. 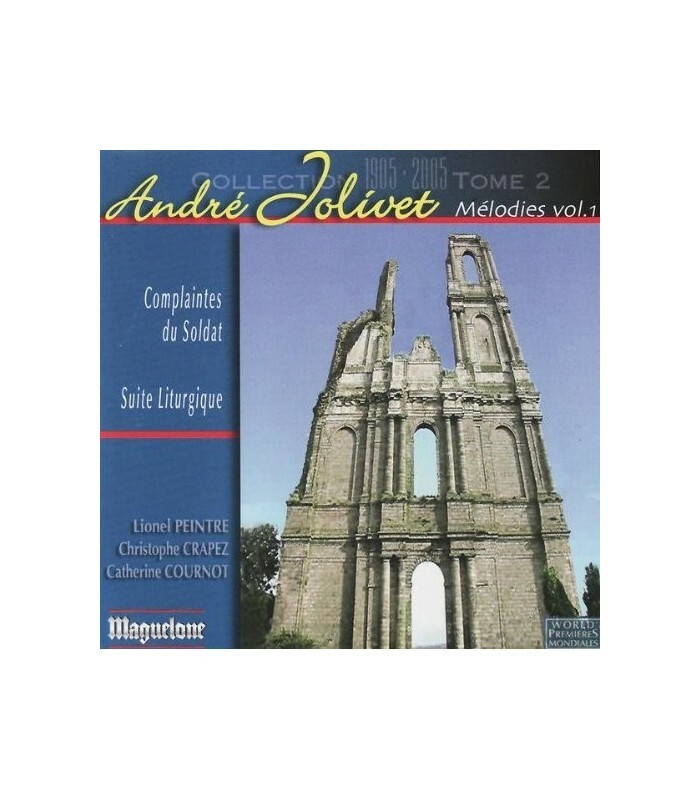 - First part of a collection devoted to vocal music of André Jolivet, this recording takes a look at more than twenty years of creation, from 1930 to 1951. Three early songs still unpublished disk, composed between 1930 and 1935, associated with four morecycles performed: Three Laments of the Soldier of 1940, the Liturgical Suite 1943,intimate Poems of 1944 - marked with the seal of the tragic war - the gallant Threepoems, and the winter Gardens in 1951. The choice of poets is eloquent, brandcomposer equally fascinated by the old masters as the most independent minds andthe most visionary of his time. This volume in addition to the magnificent Complaints of the Soldier, and the LiturgicalSuite with English horn and cello harp melodies of the composer's youth.